How to treat nails with the care they so richly deserve—and very likely aren’t getting. Consider the time, energy, and consideration that goes into your skin care routine; now compare that to your nails. For most of us, our product roster for the latter is limited to polish and not much else. But, as any seasoned nail pro will attest, our nails cannot subsist on lacquer alone. To wit: VIOLET GREY’S brand-new nail, foot and hand care edit, an assemblage of tools, lotions and formulations that are hands-down (pun very much intended) the best offerings on the market. And to help you get started, here’s all the information you need (and didn’t know you needed) about keeping your tips looking and feeling good. The most important step to achieve a perfect polish has less to do with the polish and more to do with the prep. “You want to make sure the nails are free of any oil or debris so start by using gauze pads soaked with alcohol to swipe off the nails,” says Ashlie Johnson, nail artist for Chanel. Next, basecoat, a step all the pros agree you should never forego. “A good basecoat protects the underlying nail and can also decrease the likelihood of staining and yellowing of the mail from pigments in the polish,” says dermatologist and nail specialist Dr. Dana Stern. 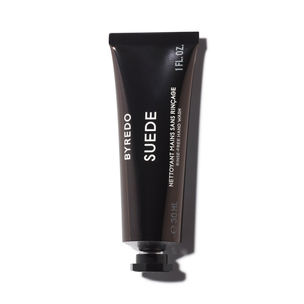 Specifically seek out base coats with hydrating ingredients in the formula. In fact, says Stern, you should zero in on all your product ingredients. “We pay so much attention to the ingredients in our skincare but until recently nobody seemed to care about what was in nail care,” she adds. “There are still many products out there that contain formaldehyde, which, in addition to being a suspected carcinogen, can cause localized nail irritations and permanently alter nail structure.” Her go-to list of what else to avoid: phthalates, toluene, formaldehyde resin, camphor, triphenyl phosphatye, xylene, ethyl tosylamide, and parabens. Not all nail files are created equal. Artist Steph Stone recommends Révérence de Bastien’s glass file: “It’s so much more gentle—instead of ripping, the glass kind of seals the nail bed. If you get it underneath, it won’t shred. And it’s much less dusty.” And always file in one direction, moving from the outside edge of each finger, adds nail artist Ada Yeung. You can veer pointy, almond (Johnson’s favorite), or squoval (Yeung’s go-to), but to determine what your most natural nail shape, Yeung advises mimicking the shape of your cuticle. 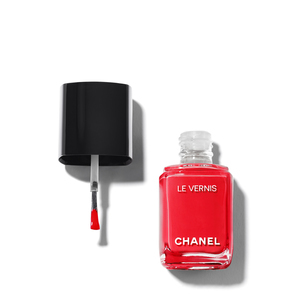 When it comes to painting, Johnson’s MO is to apply color coats (two of them) using four strokes: two down each side of the nail, one down the middle, and a swipe across the free edge to seal it, then a clear top coat (like Chanel’s Le Gel which imparts a lustrous shine) to make it last and minimize chipping. To illustrate polish’s ephemeral pleasure, celebrity pedicurist and podiatrist Bastien Gonzalez likens it to makeup: “How long do you keep makeup on your face, so how long do you keep makeup on your nails?” he asks. “After three days, most basecoat will start to lose its capacity for protection, and pigment will pass through to the nail.” So, don’t let polish languish on your nails until it chips: Stern recommends going no longer than one week for fingers, and 2-3 weeks for toes. If you keep polish on too long you are more likely to see white spots (keratin granulations) on your nails. When it’s time to remove it, avoid anything with acetone. “We spend all this time trying to stay hydrated and then can wash that away in one sweep because acetone is not only extremely drying to the nail, it’s loaded with ingredients unsafe for us to be breathing,” says Abramcyk. If you forgot to apply basecoat and nails are stained, Yeung suggest lightly buffing the surface with a soft-grit 220-280 buffer to help remove any lingering pigment. Though it’s a myth that nails have to “breathe” between mani/ pedis, that only holds true if they’re strong and healthy. “If nails are peeling, discolored, or chipping easily, consider a 2-4 week polish holiday for fingernails and 4-6 weeks for toenails,” says Stern. In the interim, do some buffing. “Buffing the nails with chamois leather is the best way to have strong nails because it improves blood circulation and brings a lot of nutrients to the matrix and the bed of the nails which will make them healthy,” says Gonzalez. Gel’s longevity and durability has driven it surging popularity, but it also has the potential to wreak havoc on underlying nail health. “Gel nails can suffocate your natural nail and potentially lead to long-term weakening,” says Abramcyk. If you’re a gel devotee, Yeung says to make sure your technician isn’t vigorously scraping them off to avoid nail plate damage and alternating between gel and regular polish manis. Stern adds that the majority of damage she sees from gels is from the removal method and that you should also use sun protection on hands before going under the UV light. Another potential issue with gels: fungal infections. “Gels can cover up brooding fungus since water can be easily caught under an improperly applied gel and can go undetected until they are removed,” adds Abramcyk. A simple truth: your cuticles are there for a reason. “The matrix, the tissue where cells are produced that make up the nail plate, is the most important and delicate part of your nail structure, and your cuticle is what protects it from bacteria and infection,” explains Yeung. And if a cuticle is compromised, it can spell trouble for nail health. “If a cuticle becomes damaged from being overly dry or from cutting or aggressive manicuring water and yeast can enter the nail causing a paronychia infection,” says Stern. “And if it remains compromised, like if it’s removed every week, it can affect the appearance of the nails resulting in white spots and an uneven surface.” The takeaway: never cut cuticles entirely; just push them back gently; only trim dead or loose pieces of skin; and hydrate the area as often as possible with a cuticle oil or cream. The skin on your hands and feet needs love too. Stern points out that one of the most overlooked skincare tasks among her patients is washing their feet. “It sounds so obvious but people often just let the soap suds run down and hope they permeate,” she adds. Because feet are a breeding ground for microbes like odor-causing bacteria they need to be washed with some attention. To remove dead skin cells and calluses, Stern suggests a foot file over a pumice (which can easily harbor mold and bacteria because of its porosity). 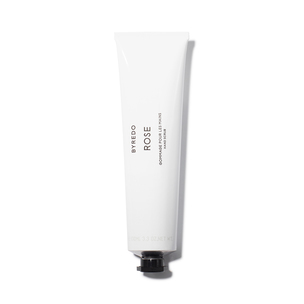 Moisturize hands and feet generously with a formula that has either shea (like Omorovicza’s new hand cream), which really seals in moisture, or ceramides or hyaluronic acid which mimic the skin’s natural lipid barrier. Ingrowns, those nails that grow into the skin at the side of the nail instead of over it and can be caused by anything from poorly-fitting shoes to injury, are a pain, literally and figuratively. “People always want to dig them out and cut away the corners but that actually encourages them to grow back worse,” Abramcyk explains. “My advice is to keep nails as square as possible at the top (no rounding!) and soak feet in Epsom salts for relief.” And since your great toenails is often the one most prone to ingrown, consider keeping it longer than you normally would and avoid wearing high, pointy heels, adds Stern.